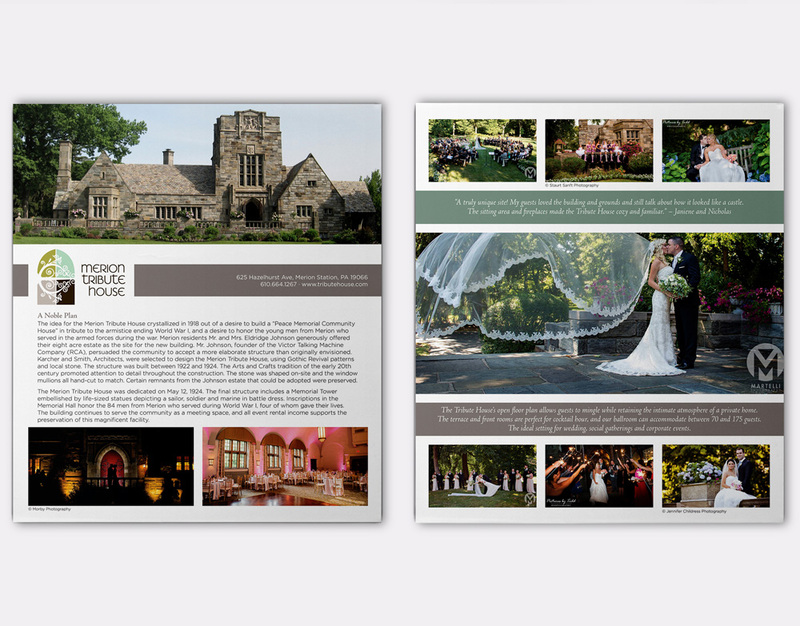 Merion Tribute House is a historical event space located on the Main Line catering to weddings and corporate events. 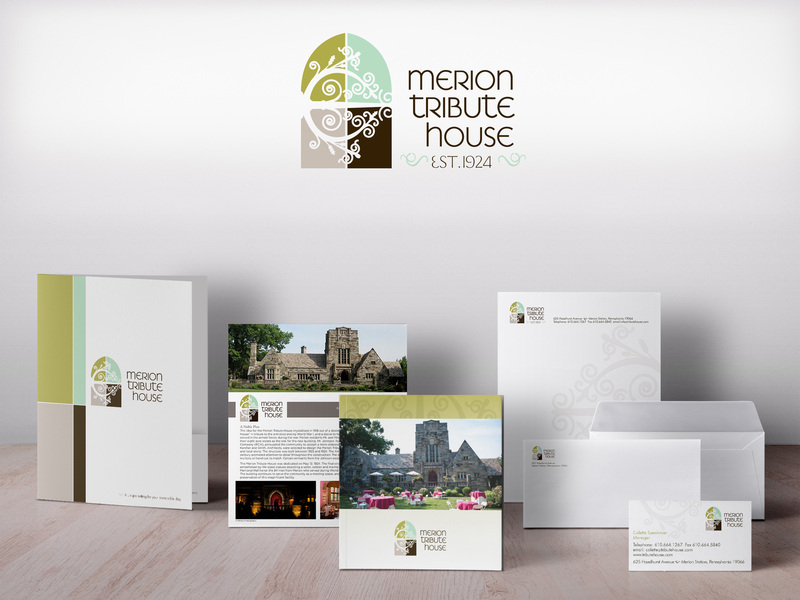 Merion Tribute House was looking to update their identity and create coordinating marketing materials that stand out in the crowded event space market. 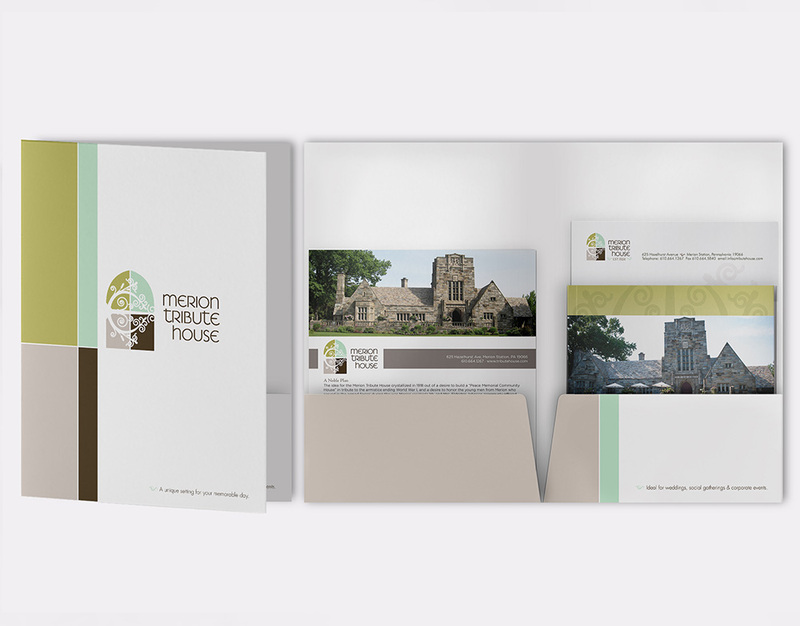 Architectural details like the Yellen ironworks and the stained glass windows are mimicked throughout the logo and corresponding materials. 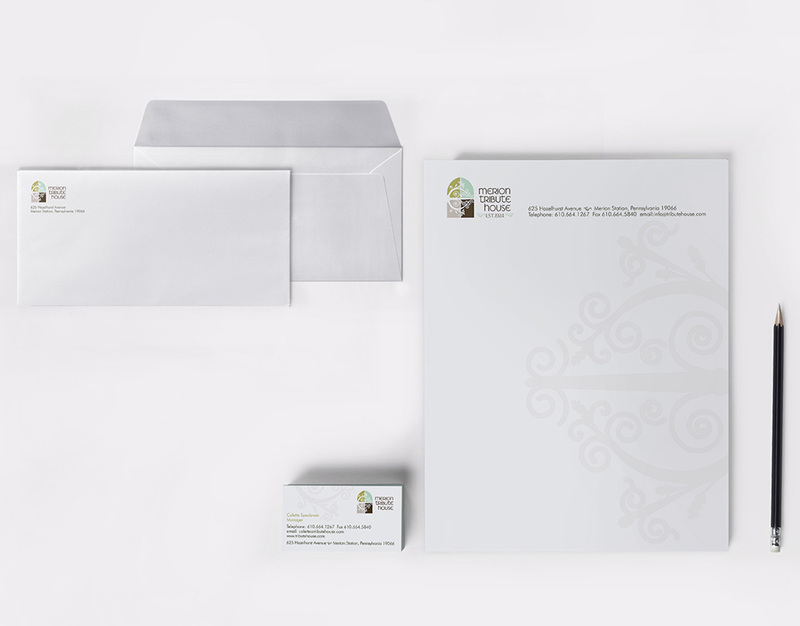 The color palette, evocative of the stained glass windows, also represents growth and renewal. 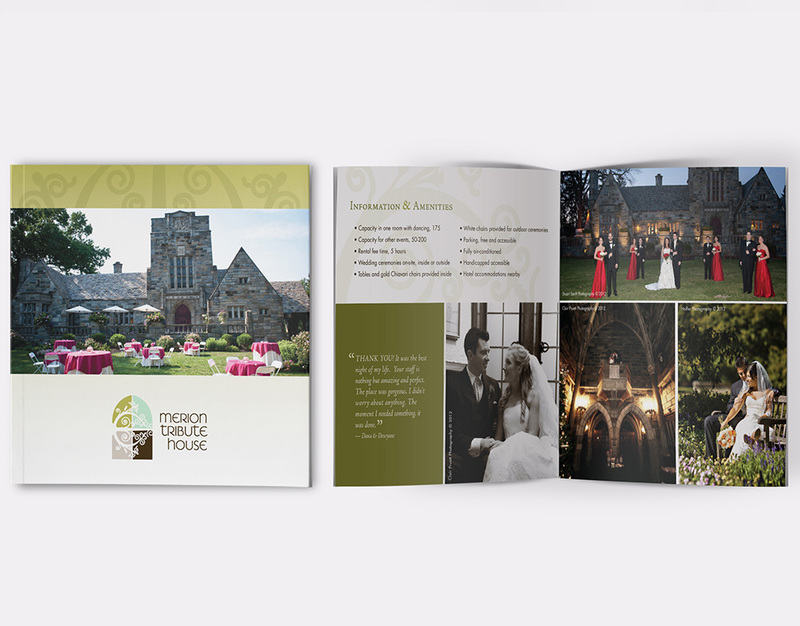 A folder, letterhead, notecard, business cards, brochure, and flyer were created to promote the iconic Main Line event space.